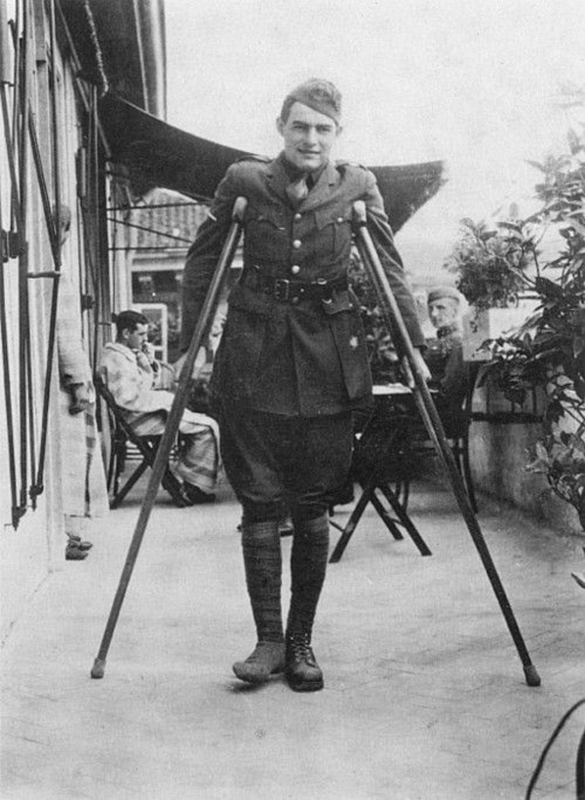 On this day 100 years ago, 18-year-old Ernest Hemingway (yes, that guy) was distributing chocolate and cigarettes to soldiers at the Italian front when a shell burst nearby, putting a whole heck of a lot of shrapnel in his leg. 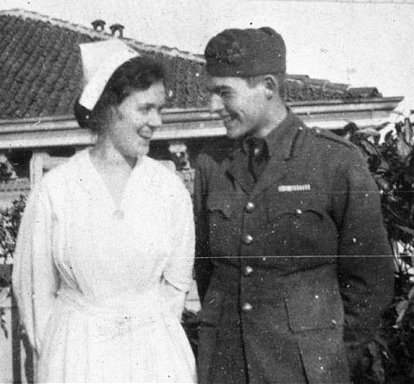 He ended up in a Milan hospital, where he met and fell in love with Agnes von Kurowsky, an American nurse several years his senior. I’m sorry to say that Agnes dumped Ernest by Dear John letter (or Dear Ernie, actually–see below) BUT she lived on in his life as the inspiration for “A Farewell to Arms,” a novel about an ambulance driver who falls in love with… I think you get the idea! Also, Hemingway carried a bit of that shrapnel around in his leg for the rest of his life. These are the things you learn when you write a novel about a guy, even though they don’t occur during the part of his life you’re writing about, because they shape who he is. For quite a while before you left, I was trying to convince myself it was a real love-affair, because, we always seemed to disagree, & then arguments always wore me out so that I finally gave in to keep you from doing something desperate. Now, after a couple of months away from you, I know that I am still very fond of you, but, it is more as a mother than as a sweetheart. It’s alright to say I’m a Kid, but, I’m not, & I’m getting less & less so every day. So, Kid (still Kid to me, & always will be) can you forgive me some day for unwittingly deceiving you? You know I’m not really bad, & don’t mean to do wrong, & now I realise it was my fault in the beginning that you cared for me, & regret it from the bottom of my heart. But, I am now & always will be too old, & that’s the truth, & I can’t get away from the fact that you’re just a boy – a kid. I tried hard to make you understand a bit of what I was thinking on that trip from Padua to Milan, but you acted like a spoiled child, & I couldn’t keep on hurting you. Now, I only have the courage because I’m far away. Then – & believe me when I say this is sudden for me, too – I expect to be married soon. And I hope & pray that after you thought things out, you’ll be able to forgive me & start a wonderful career & show what a man you really are. 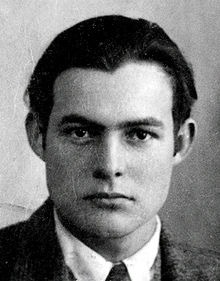 The first photo is from Hemingway’s passport a few years later — handsome, right? The others are of Agnes, and Hem on his crutches, from the JFK library.